The CUB and sushi multiple domains 1 (CSMD1) gene is a complement control-related protein located on 8p23.2, the variants of which were reported to have a strong correlation with SCZ risk in a recent study . The single-nucleotide polymorphism (SNP) rs10503253 inside the CSMD1 gene has been reported to be a major genome-wide risk locus for SCZ , and has also been shown to be associated with multiple neurodevelopmental disorders [3, 5, 6]. Studies on SCZ patients of European ancestry have shown that the A risk allele of rs10503253 is related to impaired cognitive function in SCZ [4, 7] and it has been verified as a risk allele of SCZ [8–10]. Moreover, the disruption of CSMD1 may be related to neuropsychological deficits in csmd1 knockout mice . Furthermore, CSMD1 has been reported as being involved in regulating the ratio between dopamine and serotonin metabolites in cerebrospinal fluid . Collectively, these findings indicate that the CSMD1 gene is closely related to the neurogenesis, cognition, immunity, neuropsychology, and monoamine metabolism of SCZ. 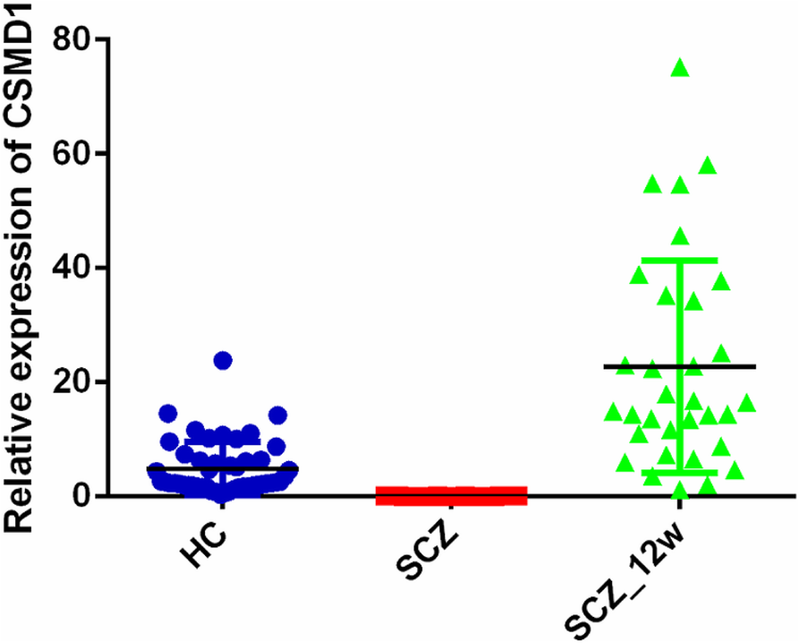 However, recent studies on the relationship between CSMD1 and SCZ have been inconsistent; studies have also found no association between rs10503253 and SCZ in patients of Japanese  and Han Chinese descent .